Student life can get a bit of a bad rap. Media depictions of students tend to be heavy on the beer and the instant noodles and light on the study and the hair shirts. Oh, did I say hair shirts? I must have slipped up because being a student is so like being a member of a monastic order in medieval Europe. Don’t believe me? Allow me to convince you. Okay, so the cubicles in Hallward Library may not technically be cells, but they’re the closest thing you’ll find to them in the modern world. I challenge you to find me a humanities student who doesn’t spend a an unpleasantly large amount of time cloistered away in silent study, copying long quotes from ancient books. Remind you of anyone? Perhaps not simply in the traditional sense, but it is not uncommon for students to eat by themselves, in silence, and at odd times of day. Also, towards the end of term, students often supplement their diet with whatever free food they can get from events. Who else ate like that? You guessed it. Monks and nuns. That meal out with your friends? On Instagram. That inspiring thought? Tweeted. 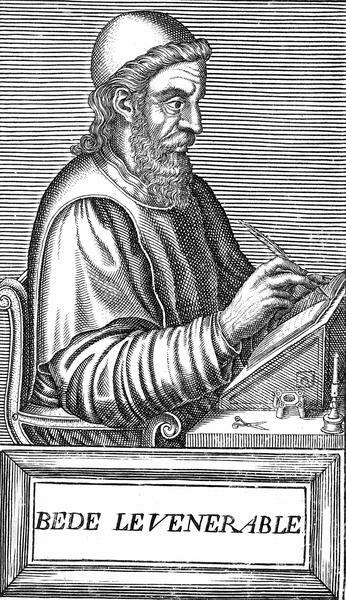 You are the chronicler of your own life, and if you’re anything like me, you’re every bit as careful and reliable as the Venerable Bede. Although significantly less venerable. You know who’s up at 2.30 AM? Students, and medieval monks. Perhaps not for the same reasons, but the point nonetheless stands. How much medieval monks bent the rules is subject to debate, but it certainly happened. Similarly, although the extent of student rule-bending is debatable, its existence is not. Join a monastic order which bans the consumption of meat in the monastery? Read the small print and establish a separate building for meat-eating. Get a job writing articles about student life but really want to write surreal medieval-themed comedy? Tenuously connect it to the student experience! Like monks, students rarely break the rules, but they often find ways to bend them.